OOO pretty! 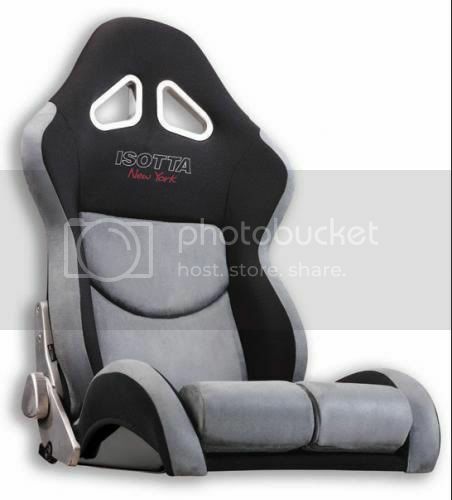 I love the grey, they also look very comfy for racing seats! Not much D. Not much at all mate. im glad ye like them, they are so comfortable its crazy!!! but if i get them im getting the same material and doing the back seats and doors too, i know a fella thats s**t hot but pricey!!! thanks for the support colin. irish luder: custom interior in a 3rd gen will look great, I hope you go for it. thanks, i hope i can save up the money soon to go for it!! ^ a woman after my own heart. those will look great in your 3rd gen! they look pretty comfortable too! i like black but it gets way to hot fast. when you get them, yous gotta ride around naked to get the full experience of the seat lmao!! !